I spent years travelling alone among the men of Italy. I wish I had known all these insider tips, which I’ve now learnt from my own Italian Hubby! Italian men will do things that overstep “boundaries” in your culture. Their boundaries are different. Ciao Bellissima! You wanna licka me? In Italian culture it is fine to do this by day, as it is not considered intimidating. As soon as the sun goes down, the same behaviour is regarded as sleazy and desperate. So if anyone tries to pick you up while you’re taking photos of some fountain, he’s probably a nice boy; but if someone tries to chat you up in a bar or nightclub, you should give him the brush-off. The sleazier Italian men try their luck with tourists whom they think are probably hard up for male attention; if you’re in Birkenstock sandals, that means YOU. If they think you are out of their league, they will leave you in peace. If you are feeling intimidated and want a man to go away, say “Mi lasci in pace?” angrily. It means “Will you leave me in peace?” and it always works. If it doesn’t, you need to start screaming at the top of your voice for help. Italians are generally very tactile, but men don’t touch women unless they get signals that it is wanted. Your instant reaction to any uninvited touching should be to slap the man’s hand off you the same way you would slap a mosquito. When a mutual acquaintance introduces two people, they usually give each other a Hollywood-style fake kiss on both cheeks. The man offers to shake hands and the woman decides if she wants to do the kiss thing – he follows her lead. Kissing is common among younger people but with older men, I’d stick to the handshake. Sometimes men actually make their lips touch your cheek, which means they fancy you. If you have already been flirting then you asked for it. If not, show what you think of him by showily sanitising your cheek with an antibacterial wipe. Swot it away! Swot it away!!! 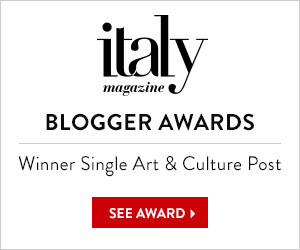 Italian culture is very beauty-oriented. Children get art appreciation lessons at school from the age of six. While courting you, Italian men are likely to tell you your eyes look like two stars that just fell from heaven, and that your beauty is so uplifting it has actually increased their IQ. They are not saying these things because they think it will get you into bed. Italians will never say you’re beautiful if they don’t really think it: they can be brutally honest. They expect you to take compliments with self-confident poise, like an Italian woman. In case you’re wondering, it doesn’t fizzle out after marriage. Italian men always notice when you’ve been to the hairdresser. They always have an opinion on your new dress. They always think your shoes are privileged to be allowed to touch your beautiful feet. If you do decide to go on a date with an Italian, you will be taken home and introduced to his parents, aunts, uncles and probably half the neighbours before going out for the evening. This is another way your Italian beau will reassure you that he is a nice boy from a nice family, with no shady secrets. If you have been on more than five dates with an Italian man and still not met any of his family, you need to face the fact that he is married. Your first few dates with an Italian man should look like this. Just go with it. You’ll get him to yourself eventually. For a date, an Italian man may take you for dinner, or for an ice-cream and a walk along the seafront, or maybe to the beach. He may invite you onto the back of his motorbike to see a local beauty spot. He will not invite you to go to a bar and consume alcohol with him unless he thinks you are a woman of ill repute. Italian men like taking their date to the beach. Most Italian men wear a kind of swimwear which may remind you of a banana and two kiwis slotted inside a credit card holder. Don’t be scared! Just take a large sun hat which completely hides your face. I always liked all those things about them, even the way they take you home so 45 nosy aunties can have a look at you. You should write a blog post about some of the more bizarre ones you’ve received! Oh that’s a good idea!!! Ay!! I resemble those remarks!! Glad to hear it! What a nice boy!!! Oh I wouldn’t do it to you, Malcolm!!! But sometimes you get slobbered on by a man old enough to remember the Second World War. I once had a hideous close encounter with a pair of slack dentures, which I cannot bear to recount. I wish American men would realize the tremendous appeal of being called “Cara”. The young guys with their pants hanging off their butts and hoodies hiding their faces are about as unappealing as you can get!! I couldn’t agree more!! It takes all the self-control I can muster to stop myself telling them to pull their trousers up. Those aren’t “American men,” they’re in their 20s or younger and their “ghetto people”, not “American men”. Americans hate their idiocy too. You make me laugh as always! 🙂 Unfortunately I have had some very sleazy encounters with Italian men, outside of Italy, in broad daylight. The worst was in Barcelona, lunch time. Two Italian guys came to me, map in hand. Excuse me they said. I assumed they were lost and needed to give them directions. Suddenly one started kissing me ON THE MOUTH! The other guy was flipping at his friend. I was trying my best to kick him in the balls. But luckily got myself out of his grasp before managing the kick. And went off…. Oh my God you poor thing!!! That’s nothing less than sexual assault. Totally against the rules in Italy like everywhere else in the world! Pity you didn’t manage to pepper spray him. How do you find Spanish men generally? I’ve only been to Spain on brief holidays but the Spanish men I met seemed a lot more restrained than most Italian guys. Indeed they are way more restrained than Italian. If a man makes a pass on the street at a woman, he is probably not Spanish, or he would be a worker from a construction site…. Thank you – an endorsement from a (partly) Italian man means a lot to me! I’ve been meaning to write this for a while, because foreign women (including me) come to a lot of conclusions about Italian men which are wrong, just because the culture and rules are different. If they understand how it works here I think they can relax and enjoy the sweetness of Italian men! one of your best, and so true! hahahaha 😀 😀 😀 Loved this post! So much information and very entertaining. “Showily sanitising your cheek with an antibacterial wipe”…I’ll have to remember this one. You actually make this sound pretty alluring. I am so tempted to fly to Italy (again; last time I was with a boyfriend) and experience some of that, um…hospitality… for myself. Yeah, I love them too! Hahahaha so good and so funny. I’ve always loved Italian men and their compliments. Never understood why many women were soooo offended. Course the older I get the less it happens so don’t have to worry about it. LOL Fun read. I’ve always said, need a bit of attention? Go to Italy! I can’t wait to visit again – this year! whoopee! Ciao Bella! Me too! They make me laugh! OMG glad I found your site tonight –reliving my past ! Plan on returning to Sicily next year — distant cousins there. Where were you 40 plus years ago — what a laugh — like you I taught English in Greece and the Greek men were like the Sicilians — my fiance at the time (Greek with American relatives) always had the relatives with us, island excursion the Uncle, aunt, second cousins –Sunday drive same thing etc. Always concerned about my clothes and looks and always complimentary –it was great. Had a close call in Istanbul too on my first night in that city but not at gunpoint — by 3 Raki drinking drunks who were driving a dolmouche (taxi) and by the time I and a couple from the states got in it —well it was too late. We got them to take us to a restaurant where they joined us and were like 3 Turkish Zorbas (sort of wild). Soon I realized maybe I was in an awkward position as all three were looking at me like a baklava, lol. I gently slipped out and found my way back to the hotel. Found the Spanish men (and women) stuffy, what is with them ? I found the Italians to be the nicest of all the Med men — and Sicilians the best. Thanks for all the history and info –I sent it to some of my friends who are Sicilian Americans and are members of our Sicilian heritage association. I’m so glad you’re enjoying my blog and sharing the memories with me. 🙂 And I hope some members of your Heritage Association join in with memories and knowledge of Sicily, as I love hearing stories from people with earlier memories of this fascinating island. I was born in Sicily but my parents emigrated to the US when I was a four year old. Although I’ve had much success here––I’m a Writer and a Surgeon––many times find myself wishing I’d remained there. Perhaps it’s time to retire and go back? Just make sure you don’t retire before you have saved up all the money you will need to live on! It’s very hard indeed to find work in Sicily, which is why people are still leaving as your parents did. I discovered your site about 2 weeks ago and i love it. I have upped sticks from London and have come to live in oritigia Syracuse on my own…… have been here 2 days and although a bit overwhelmed i love it…. Aren’t they the most fabulous shoes ever?!!! The brand is Loriblu, but they’re from last year so you might have to look around a bit online to buy them. 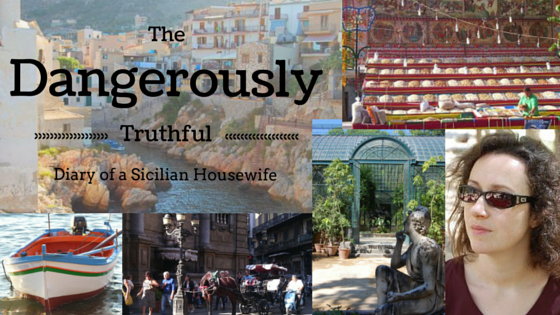 sicilian housewife, you’re the best!!! i’ve been to italy twice, alone and with friends, but never to sicily, and I confess to be a little scared of how things could work out in the south… i’m brazilian, and on a quick trip to pompeii and capri I was already a bit oppressed about all that “you don’t need to pay for your coffee, bella” and by the middle of the trip I was telling everybody I as american, so they would keep looking me in the eyes! When you get old and fat like me you’ll start to miss all the free ice creams and coffees!!! I just started to read all of your informational blogs. Love each and every one of them. You have a real talent for words. It reminded me when I came back to Porticello at 21 and I was a “real” beauty truly was. I remember young men coming to talk to my grandmother with their aunts, mothers, sisters and whomever they could bring along for my grandmother to introduce me to them. My grandmother would patiently explain that it would be a courting ritual but I told her I already had an American boyfriend that I was serious about than BANG!!!!!!! saw my husband and two weeks later we eloped. I had been back for a month vacation and ended up staying for 8 months. We married legally and then came back to the States with a husband and a baby on the way. We are still very much in love and three children. What a life. What a brilliant article! So witty and I imagine, truthful. I was disappointed when it ended. More please. Haha! I really liked this one 🙂 Meeting all the aunties sounds so fun! Yes it is,and possibly half the reason I ended up married to an Italian! Just curious, but I would love to hear you and your husbands story. 🙂 How did you two meet? Ah, well that is a long story and it is told in my novel, which has the name name as this blog. Look at the “Veronica Di Grigoli’s book shop” link in the menu to find out about it. I will most definitely check that out. 😉 Also, my family of five is trying to plan a trip to Sicily and an area around Rome and can not seem to find a good place to stay that would fit our large family (I have two younger siblings, ages 5 and 9). Do you have any recommendations that would be relaxing and good for younger kids? We are about ready to give up looking. Thanks a bundle! Yes! Go to trip-tipp.com which has a link called Holiday Lettings. They have lots of family size villas and some of them have a back garden which is basically your own private beach. I cannot think of anything more relaxing or fun for a family holiday. Hey I’ve only read this post now even though it’s an oldie! LOVED IT. I am currently wanting to write something similar in light of the current conversation going on about harassment on the street and beyond. Your articles are so intriguing and funny at the same time. My ancestors are from Sicily so I was immediately interested and can’t wait to visit so I can meet one of these amazing Italian men! Ha haaaa! You should aim to meet lots more than one! LOL! Ten ways to Protect against the Evil Eye - Would you dare try 9 or 10?